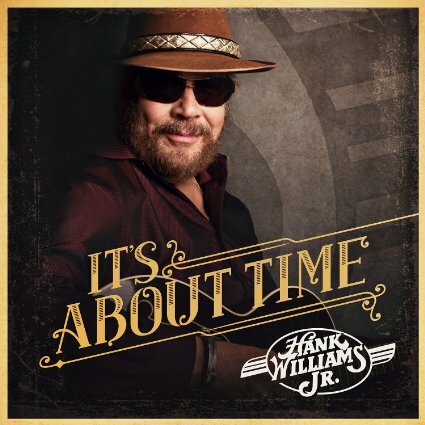 There’s only one word that fits Hank Williams Jr. first full album in nearly four years – FUN. Fresh on a new label Nash Icon (A label Williams shares with Reba McEntire, Ronnie Dunn and Martina McBride). This album is signature Hank Jr. with a rowdy, rollicking, toe-tapping and foot-stomping country music party. Williams wrote four of the twelve songs including a (mostly humorous) voice over at the end of some of the songs which provides a nice touch as it adds to the party music atmosphere. Most of all, this album is Hank Jr. being Hank Jr, singing, partying, and having a great time with some of his rowdy friends. Fans of rebel rock country will party along with him and have about an hour of pure pleasure. His cover of Neil Youngs’ Are You Ready for the Country featuring Eric Church is pure fun as are Club U.S.A., God Fearin’ Man, Dress Like an Icon, and It’s About Time. These songs describe who Williams is, what he likes to do and how he likes having his friends around to help him do it. There are a few shout outs to country greats like Waylon, Merle, Johnny and June among others, as well as a jab at the songs that are currently airing on country radio. His cover of the song Mental Revenge written by Mel Tillis has this same rowdy, foot-stomping beat and his booming baritone gives his music oomph. His song Its’ About Time sums up the whole reason for this album as he sings: “ it’s about time for some country songs…to play some Southern rock …….had enough of this weird pop country sound….” The last song on the CD is Born to Boogie featuring Brantley Gilbert, Justin Moore and Brad Paisley There isn’t a better song to end this CD. It follows in the tradition of most of the songs on this CD, rowdy, rocking, hard partying Shut the front door and get up from your rocking chair on the front porch, tap your toes and stomp your feet, this is the way the country was meant to be.